Chiefs: Lamar Hunt (owner), Hank Stram (coach), Bobby Bell, Buck Buchanan, Curley Culp, Len Dawson, Willie Lanier, Jan Stenerud, Emmitt Thomas. Vikings: Bud Grant (coach), Carl Eller, Paul Krause, Alan Page, Mick Tingelhoff, Ron Yary. 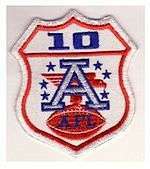 The game was awarded to New Orleans on March 19, 1969 at the owners meetings held in Palm Springs, California. For more details on this topic, see 1969_NFL_playoffs. For more details on this topic, see AFL playoffs, 1969. Meanwhile, the Vikings recorded their first postseason win in franchise history by defeating the Los Angeles Rams, 23-20. Though the Rams held the lead for most of the time in regulation, Kapp led a touchdown drive to give the team a 21-20 4th quarter lead. Then Eller made a key play to preserve it, sacking Rams quarterback Roman Gabriel in the end zone for a safety and Alan Page intercepted a pass with 30 seconds left on the clock. Then Minnesota easily demolished the Cleveland Browns in the NFL championship game, jumping to a 17-0 halftime lead and going on to win 27-7. The Vikings offense gained 381 yards without turning the ball over, with Kapp passing for 169 yards and a touchdown, while Osborn rushed for 108 yards and Washington gained 125 yards on just 3 receptions. CBS erased the videotape a few days after the game; the same thing they did with Super Bowls I and II. Videotape was expensive and networks did not believe old games were worth saving. The only reason this game exists is because the CBC in Canada carried the broadcast and because the Vikings were located so close to Canada and had a lot of Canadian fans, the CBC decided to save it for their archives. As previously mentioned, as videotape was too expensive in those days to save, they transferred the footage to black & white film (kinescope). This therefore, enabled them to reuse the videotape. On the first play of their ensuing drive, Dawson threw a 20-yard completion to Pitts, followed by a 9-yard pass to wide receiver Otis Taylor. Four plays later, on the first play of the second quarter, a pass interference penalty on Sharockman nullified Dawson's third down incompletion and gave Kansas City a first down at the Minnesota 31-yard line. However, on third down and 4 at the 25-yard line, Vikings cornerback Earsell Mackbee broke up a deep pass intended for Taylor. Stenerud then kicked another field goal to increase the Chiefs' lead to 6–0. In the third quarter, the Vikings managed to build momentum. After forcing the Chiefs to punt on their opening possession. Kapp completed four consecutive passes for 47 yards and rushed for 7. Minnesota also made its first third down conversion as it drove 69 yards in 10 plays to score on fullback Dave Osborn's four-yard rushing touchdown, reducing the lead to 16–7. However, Kansas City responded on its next possession with a six-play, 82-yard drive. Pitts picked up a key first down with a 7-yard left-to-right run on a reverse play. Then after a 15-yard personal foul penalty against the Vikings, Dawson hit Taylor with a short pass. Taylor caught the ball at the Minnesota 41-yard line, broke Earsell Mackbee's tackle, raced down the sideline, broke through Vikings' safety Karl Kassulke's tackle and scored the clinching touchdown on a 46-yard play. 1 2 3 "Super Bowl IV play-by-play". USA Today. USATODAY.com. January 11, 2002. Retrieved August 25, 2011. 1 2 "Super Chiefs wreck Vikings". nydailynews.com. ↑ "Super Bowl IV boxscore". NFL.com. Retrieved November 10, 2016. 1 2 3 4 "Super Bowl IV statistics". Pro Football reference.com. Retrieved 6 November 2016. ↑ Neft, David S., Cohen, Richard M., and Korch, Rick. The Complete History of Professional Football from 1892 to the Present.